Hey everyone, Charging Moose Media is creating a new podcast, and we need your help to develop it! We're collecting stories. Stories that you're willing to tell us, and potentially let us explore. Stories of moments in your life where you felt the greatest emotion. That doesn't mean sadness, we mean any emotion. If you're willing to talk to us about your story, please fill out the following survey. If you have multiple stories, feel free to fill out the survey multiple times. If you would like to stay anonymous, we will absolutely accommodate that. We'll be collecting stories for a few months while we develop the idea of the podcast, and we'll be back in touch if we would like to build around your story.  Thanks so much for all your help, and for helping out Charging Moose Media! If you would prefer to stay anonymous, please feel free to write whatever you like here. For the sake of this survey, we're using the following chart of base emotions, taken from this website. Please select the primary emotion to the left that your story falls under.